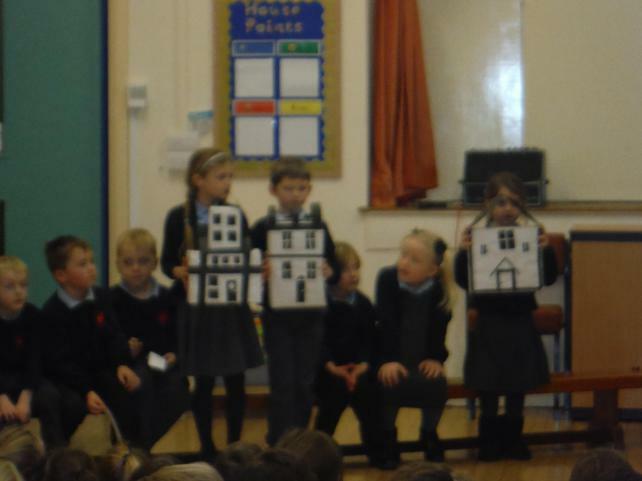 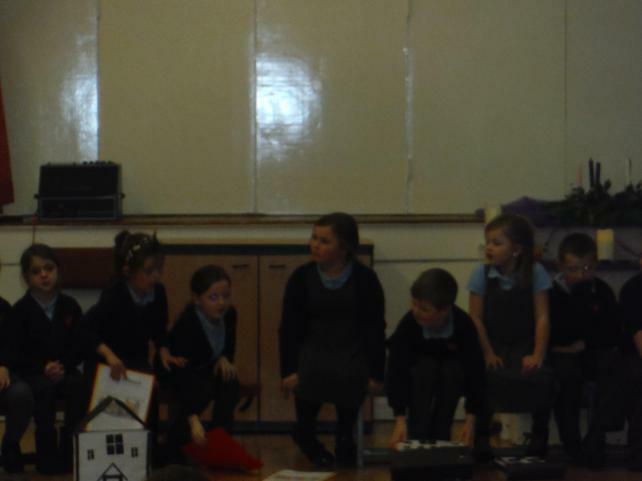 This week in Class 2 we shared our learning so far with parents. 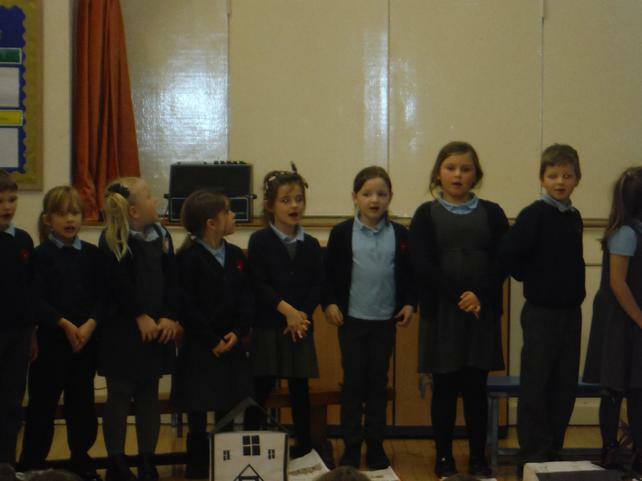 We enjoyed singing and dancing to the Funnybones song, reading our stories about the different Funnybones characters and travelling back in time 350 years to a Bakery on Pudding Lane. 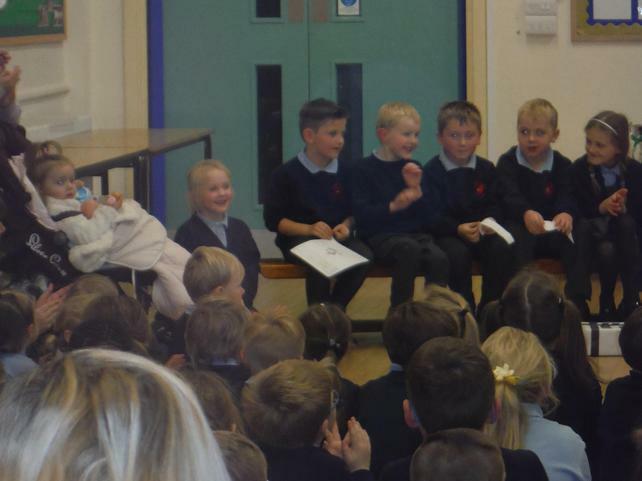 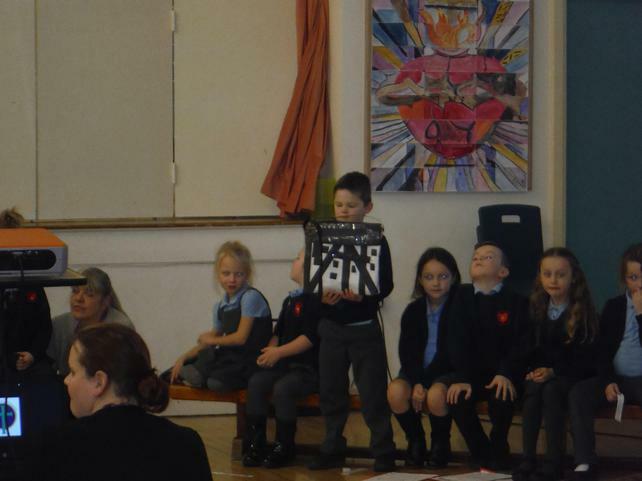 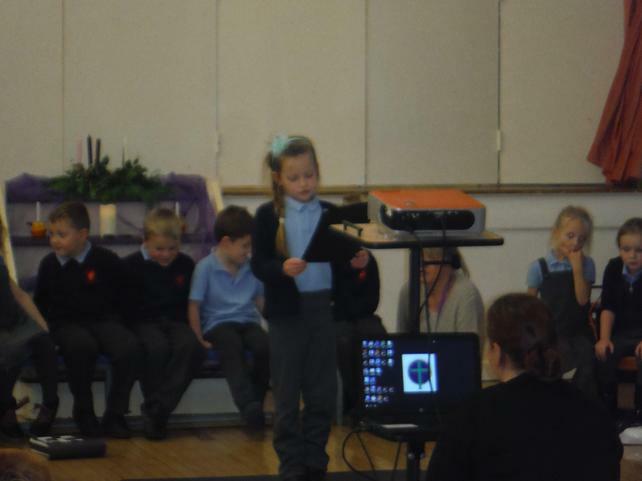 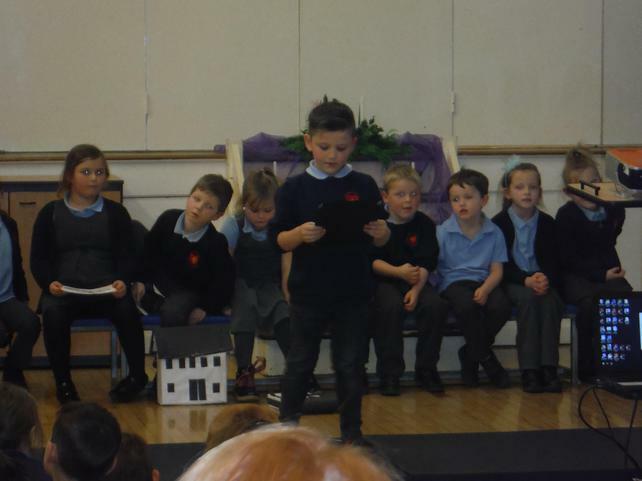 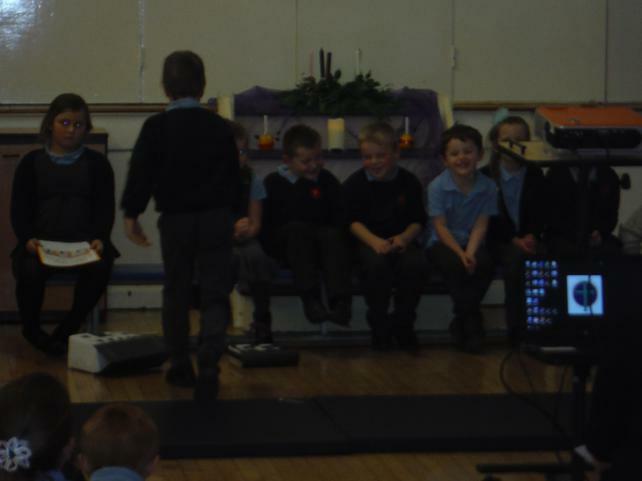 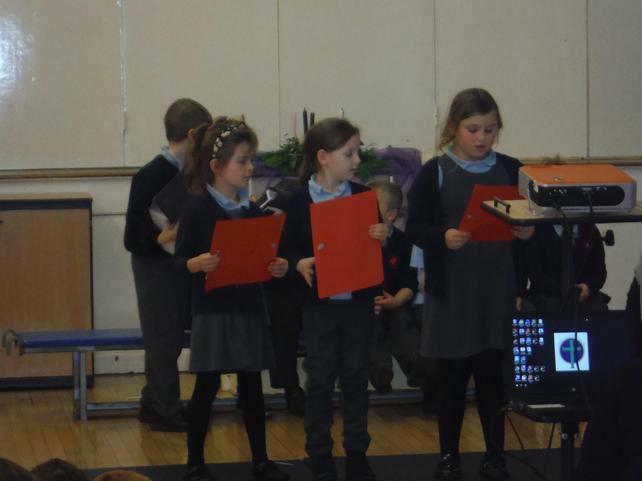 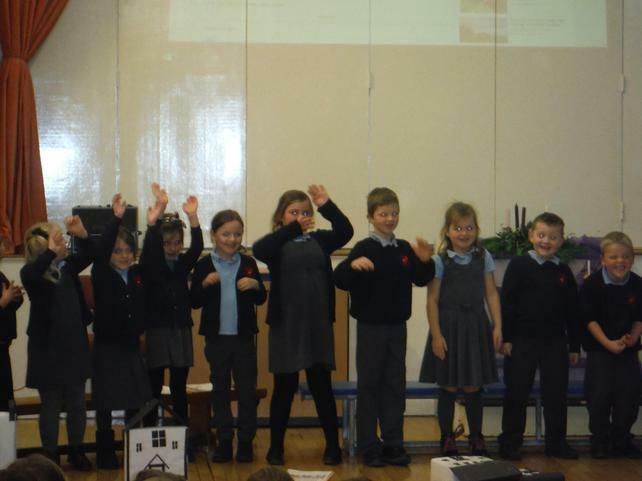 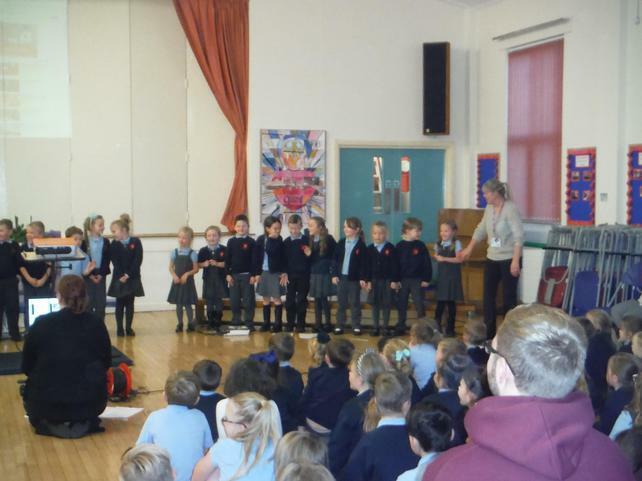 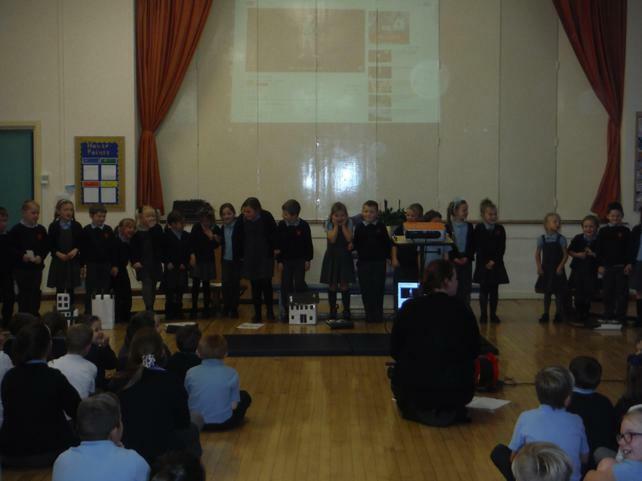 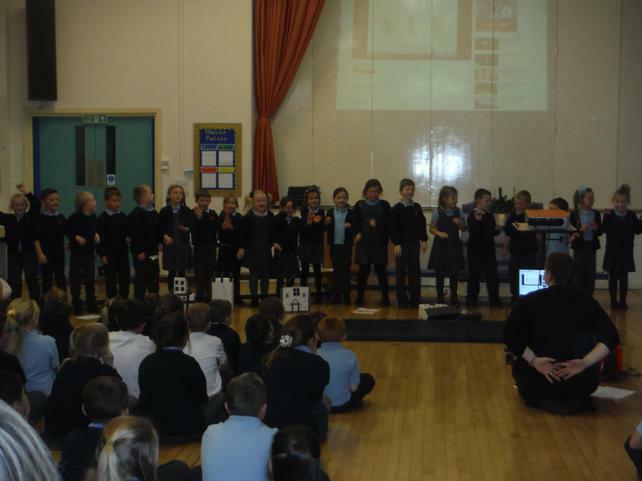 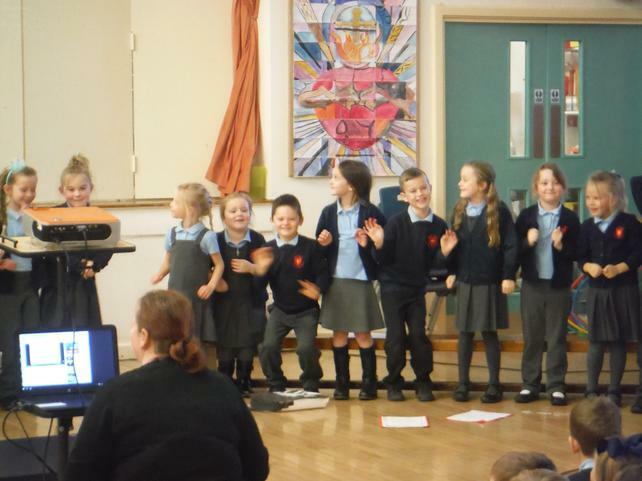 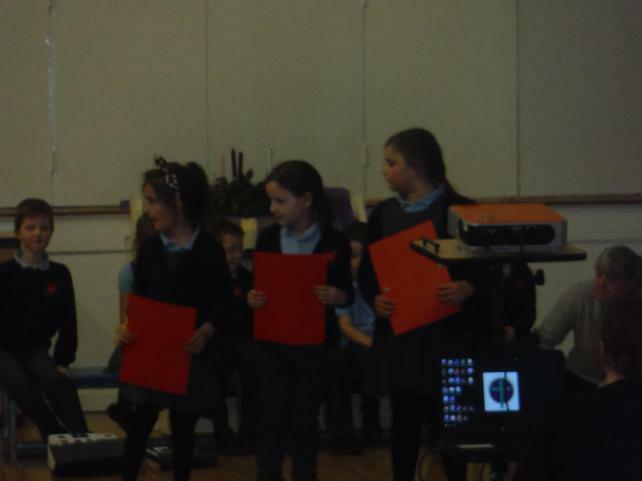 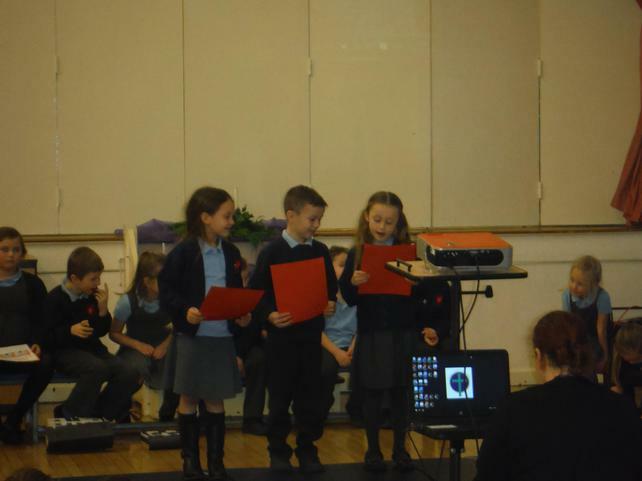 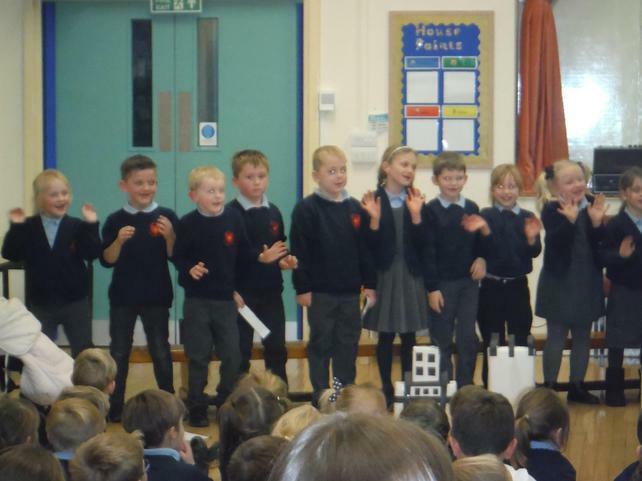 Take a look through our pictures to see what we shared with our parents. 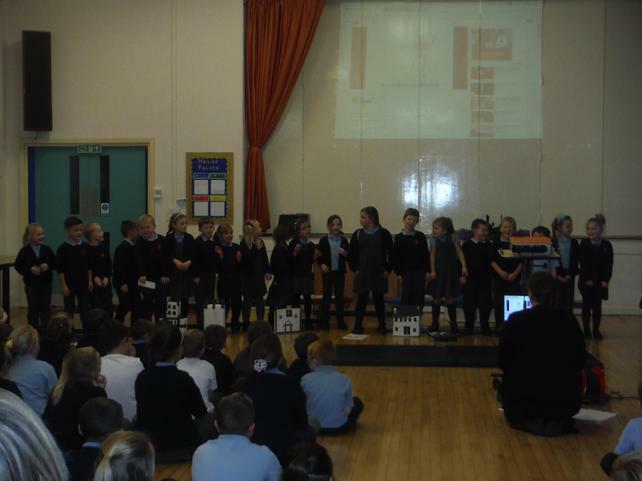 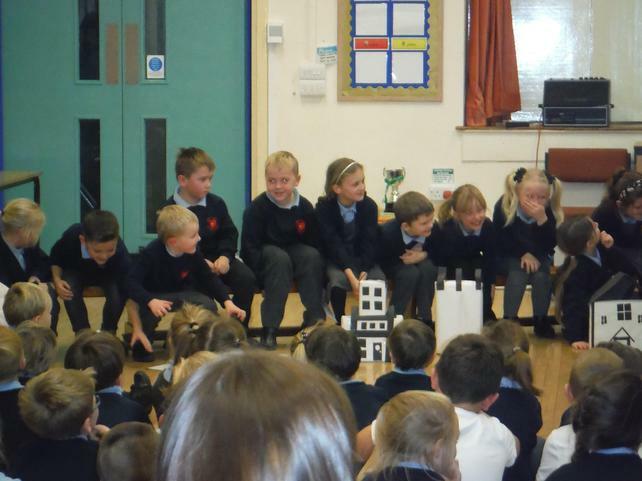 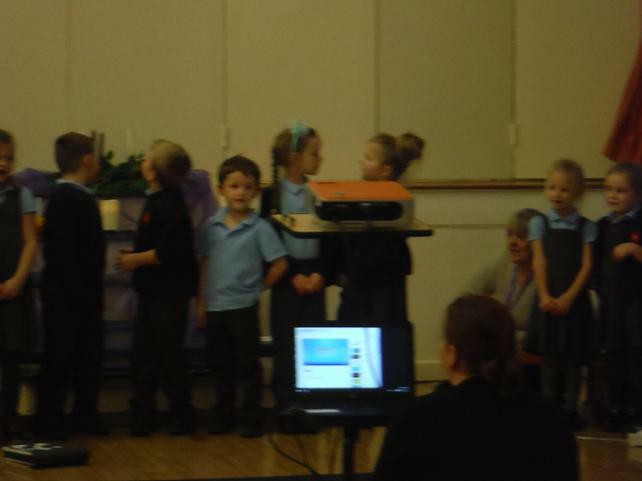 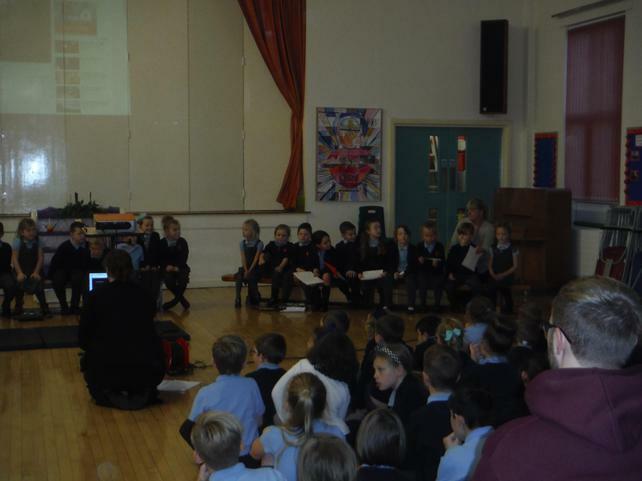 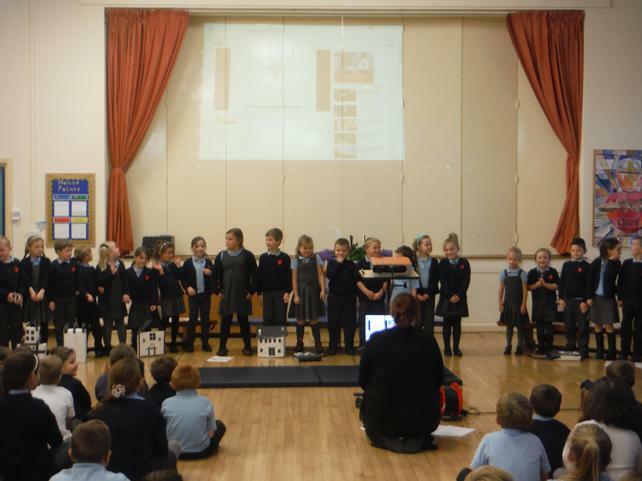 A big thank you to all the parents who came to watch our celebration and also the support given to the children at home. 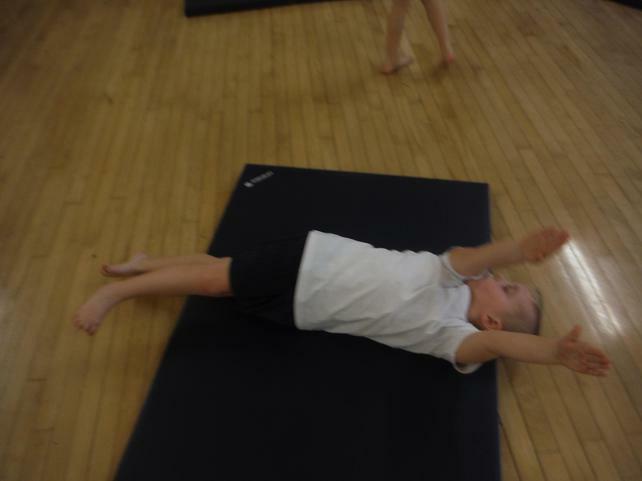 Over the last 2 weeks part of our learning in PE has focussed on rolling. 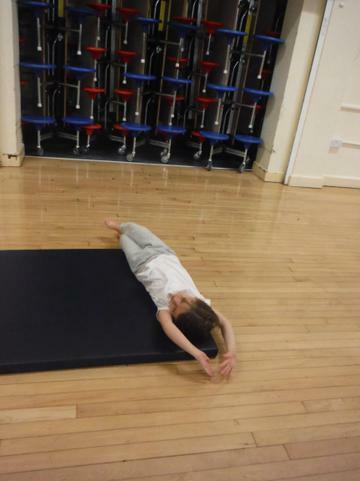 We have explored different types of rolling and how we can link these with movements to make short sequences. 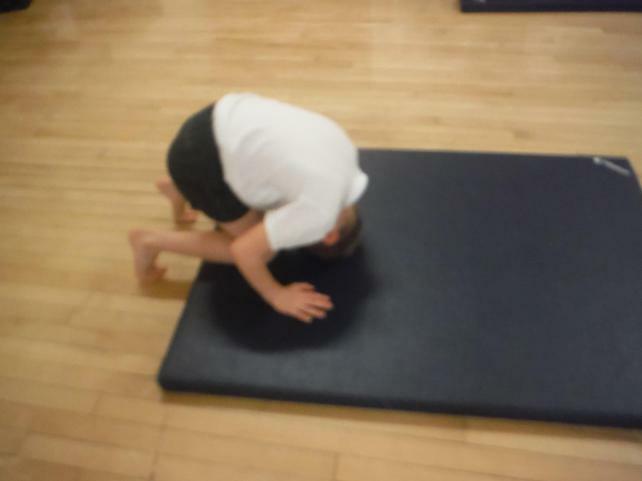 This week the children practised holding a balance before moving into a roll. 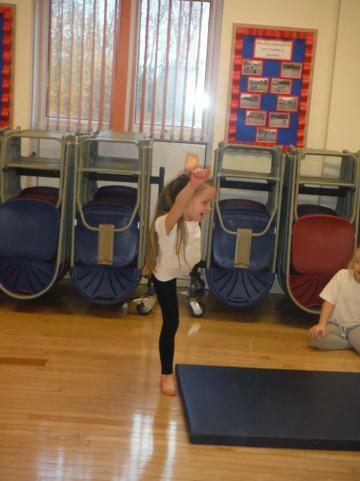 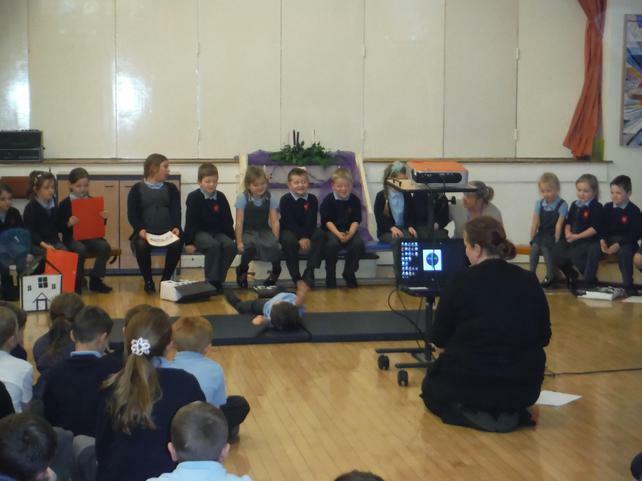 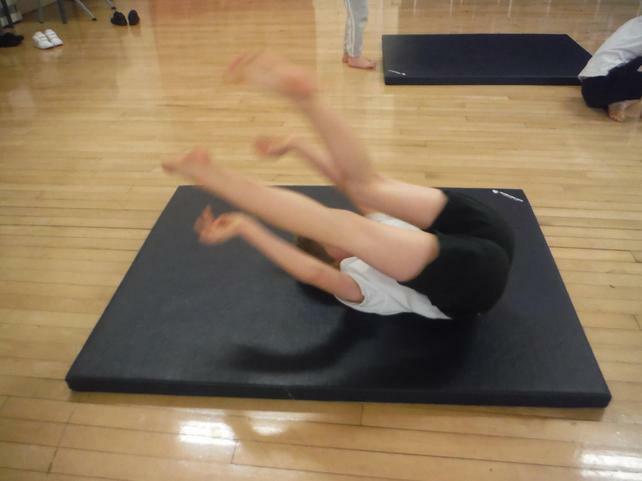 The children also learnt how to carefully do a forward roll. 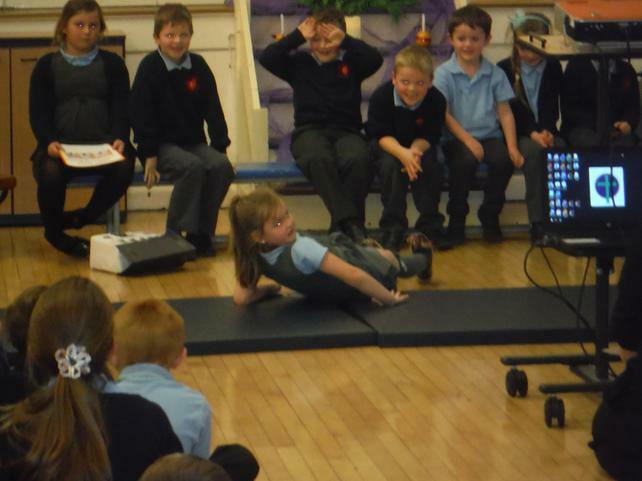 This week we hope to move this tricky skill on to basic apparatus, rolling off and along benches. 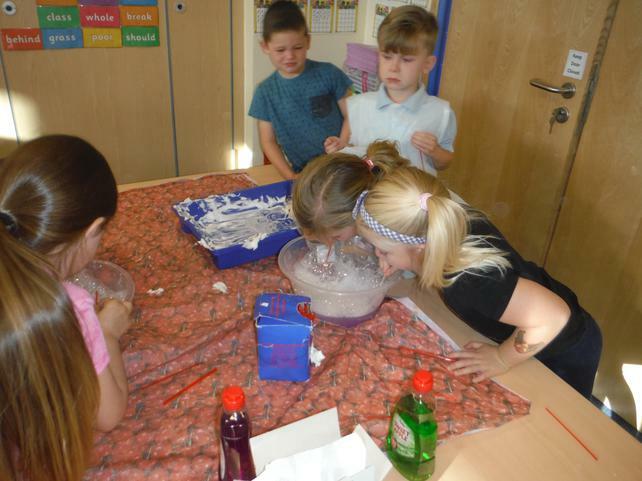 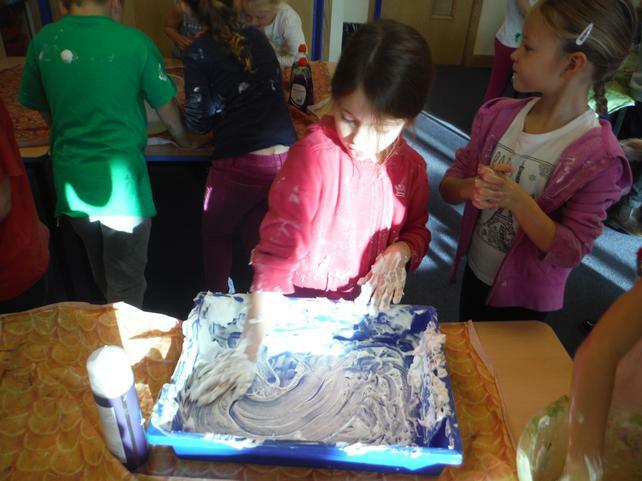 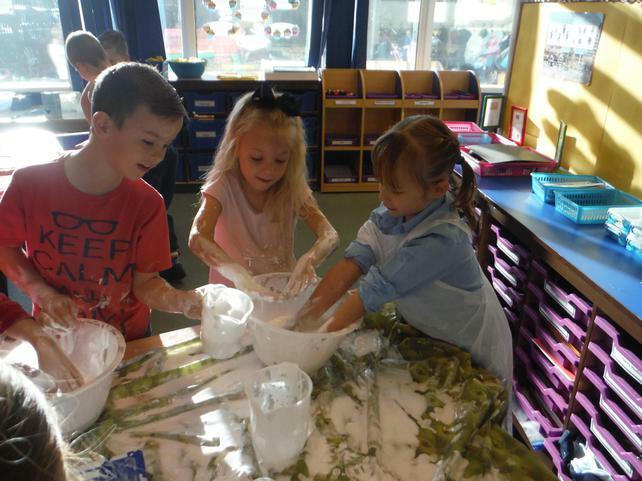 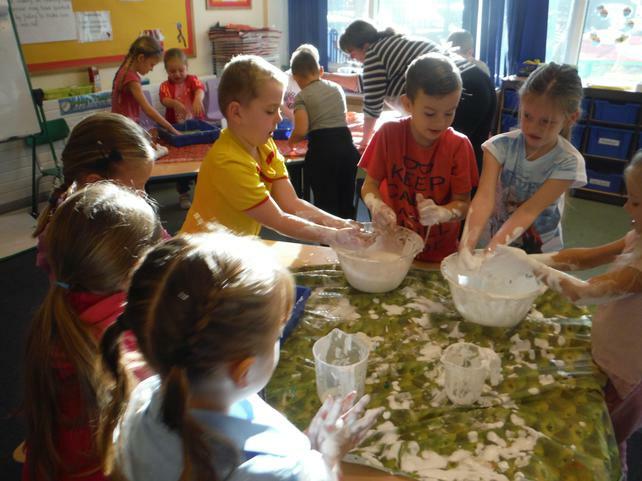 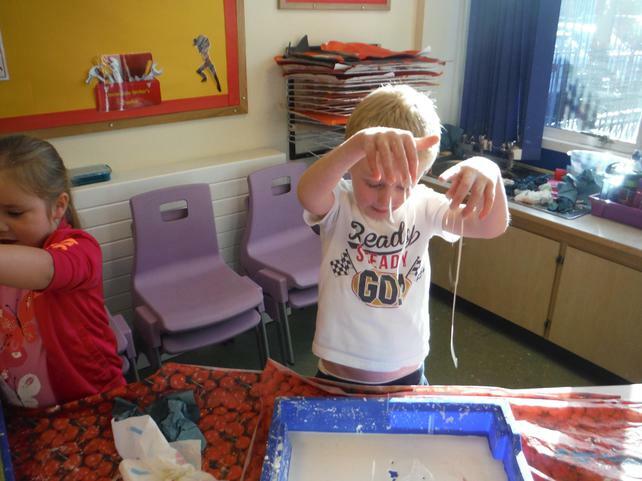 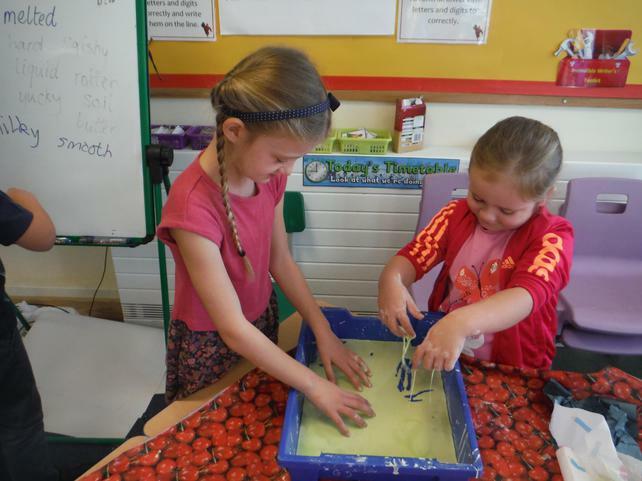 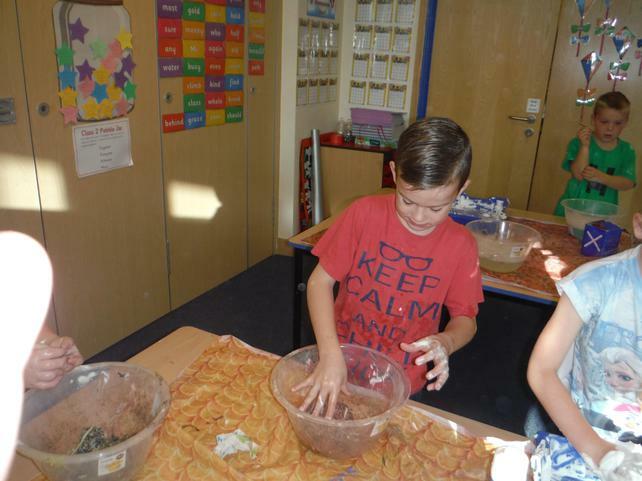 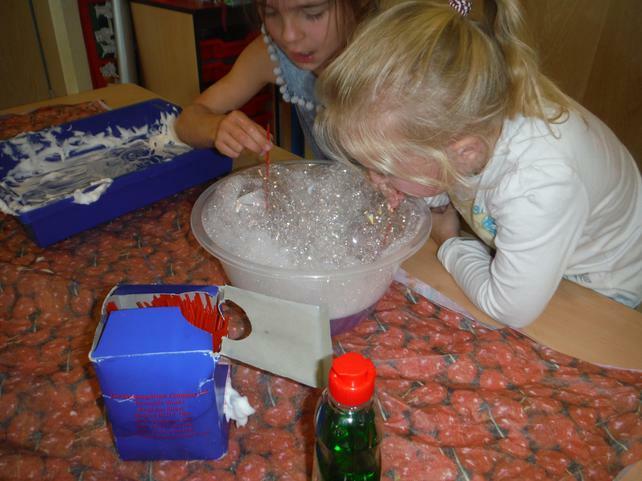 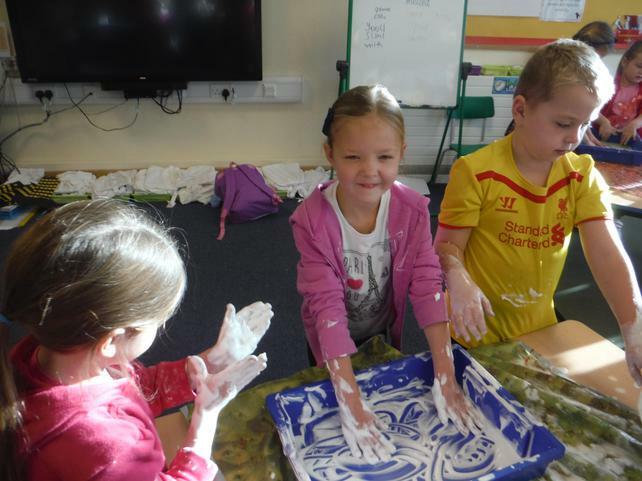 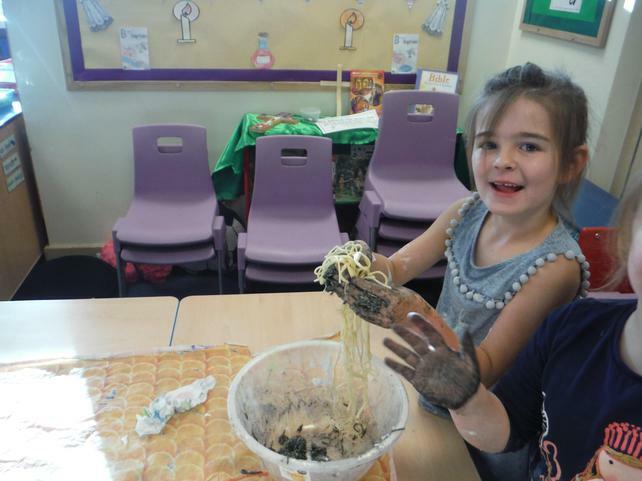 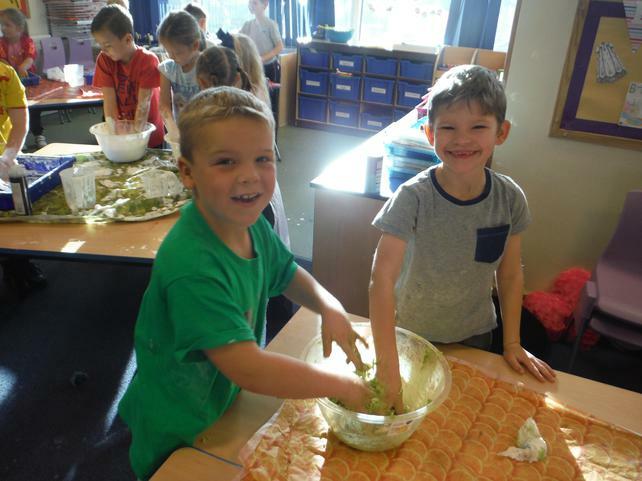 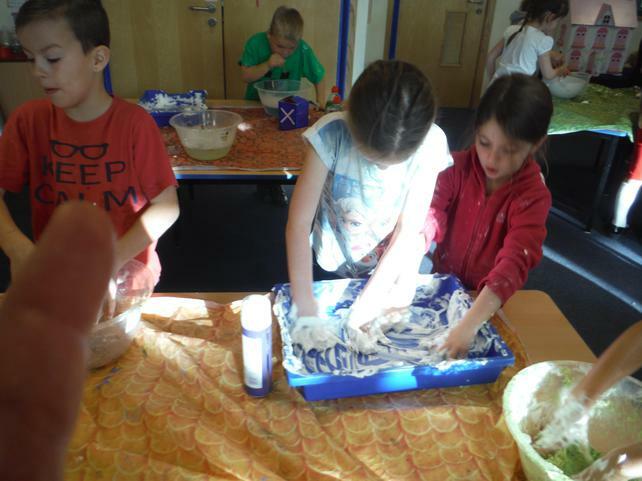 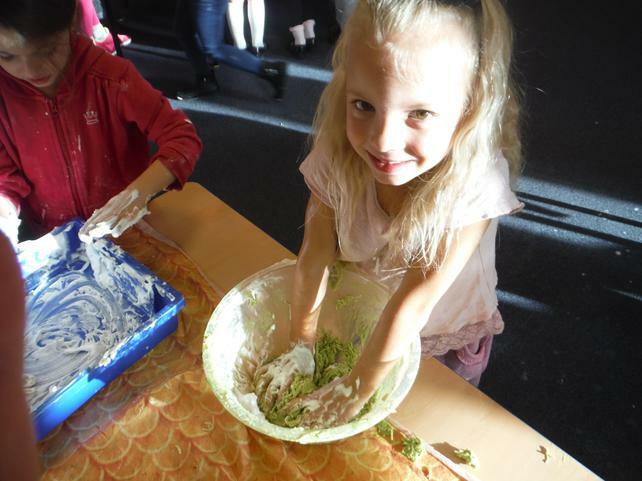 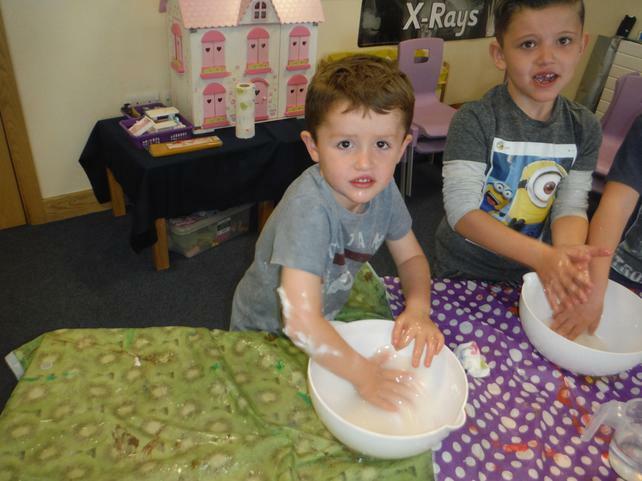 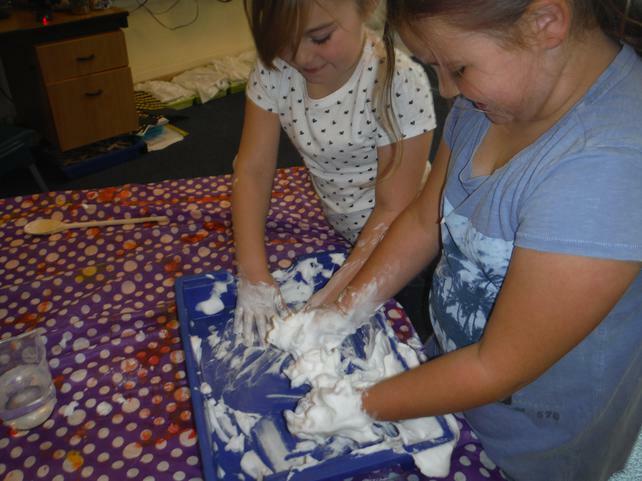 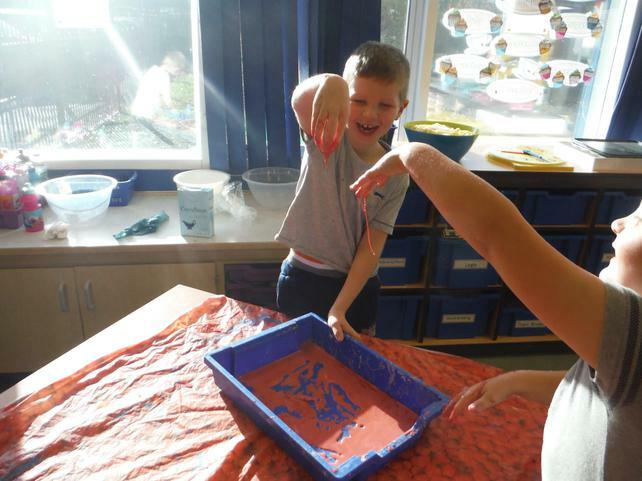 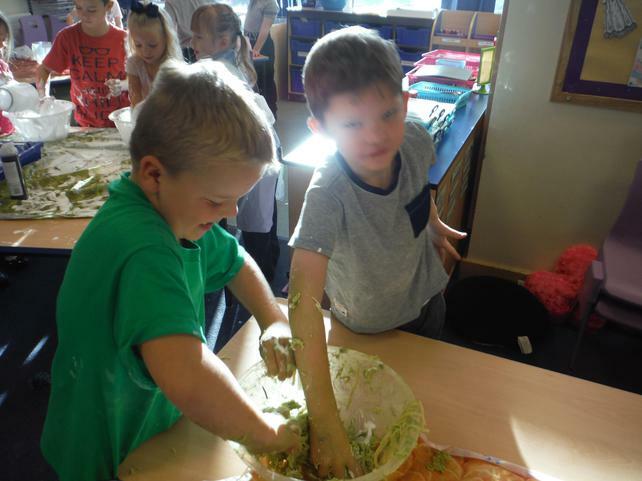 Last Friday the children enjoyed a wonderful messy morning as part of our Muck, Mess and Mixtures topic. 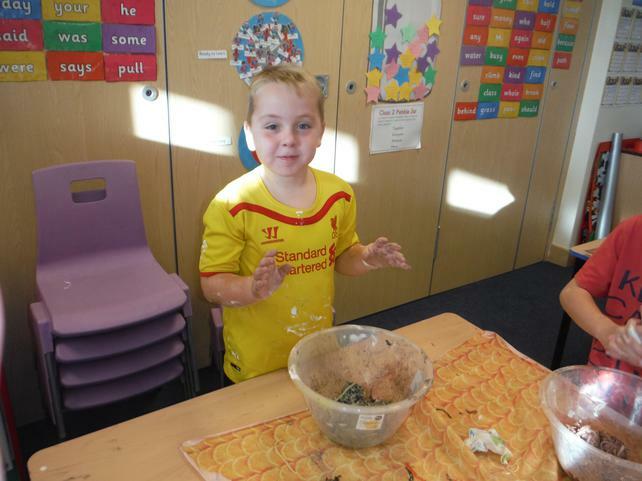 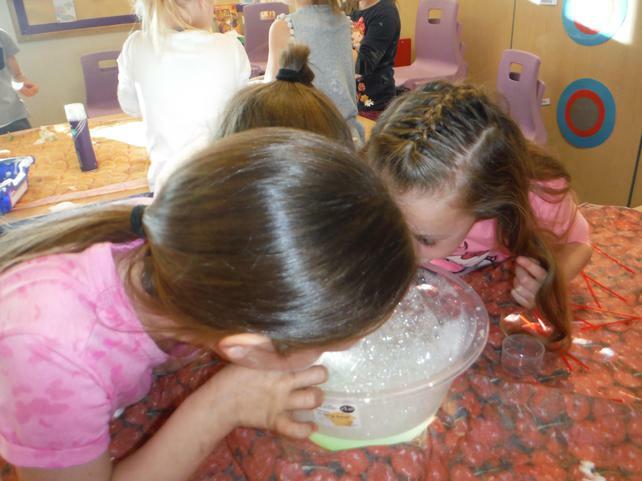 The children accessed a variety of different mixtures including, Gloop and Clean Dirt. 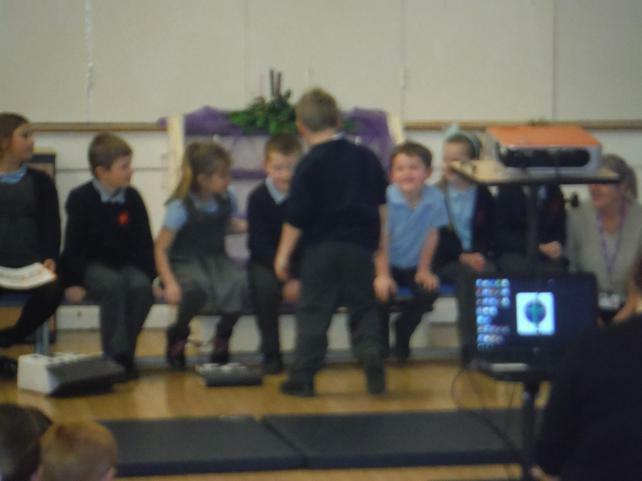 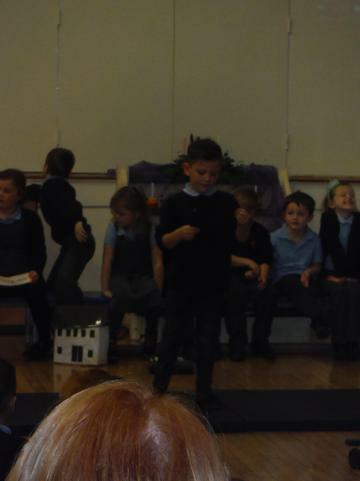 Harry said his best bit was, "blowing the bubbles in the bowl, the bubbles were shiny and smelt of strawberries". 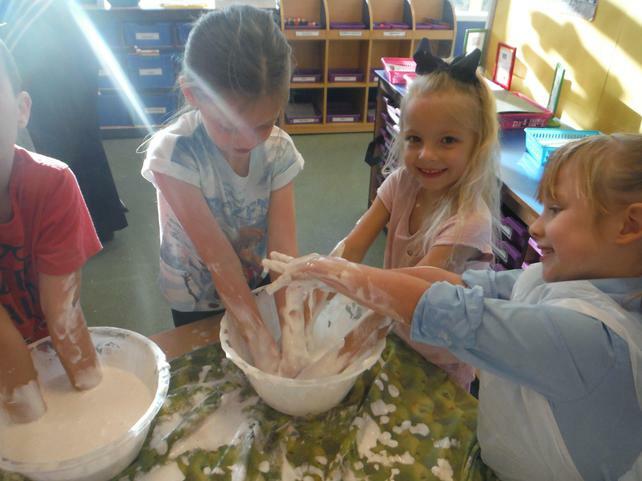 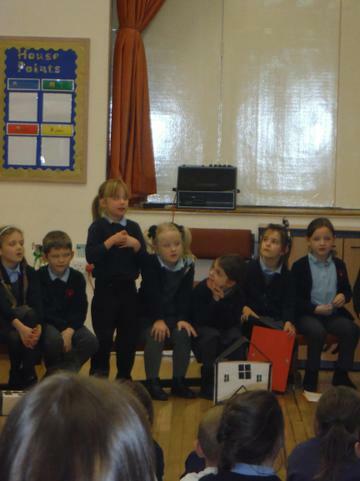 Sophie said her best bit was, "touching the gloop, it was very weird. 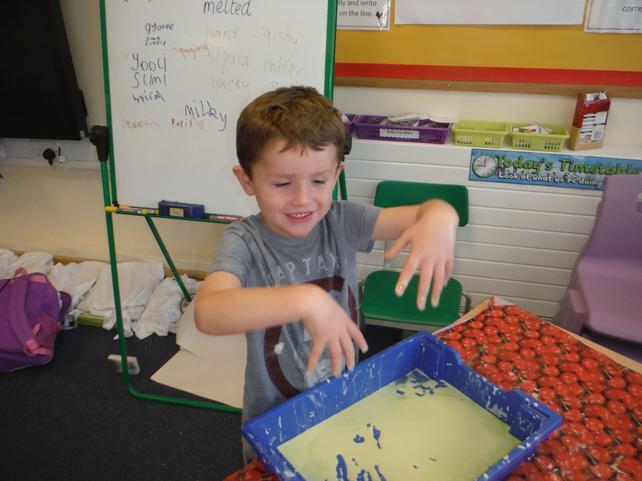 It felt wet touch but it wasn't runny". 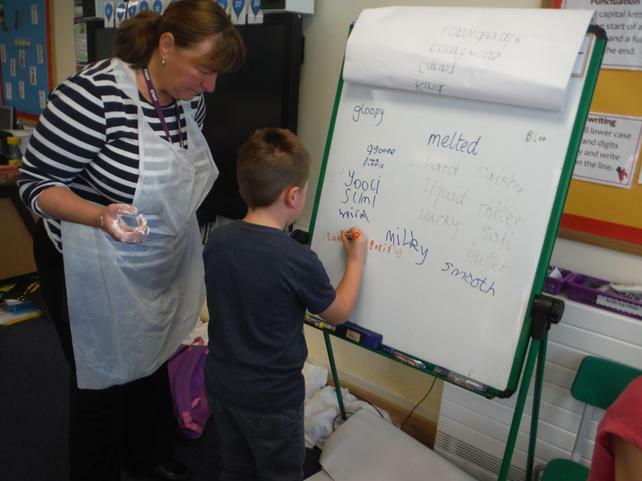 This week we have started learning about George's Marvellous Medicine and have begun creating our own wonderful mixtures using imperative verbs and adverbs of manner.